TAKE ME I'M YOURS! 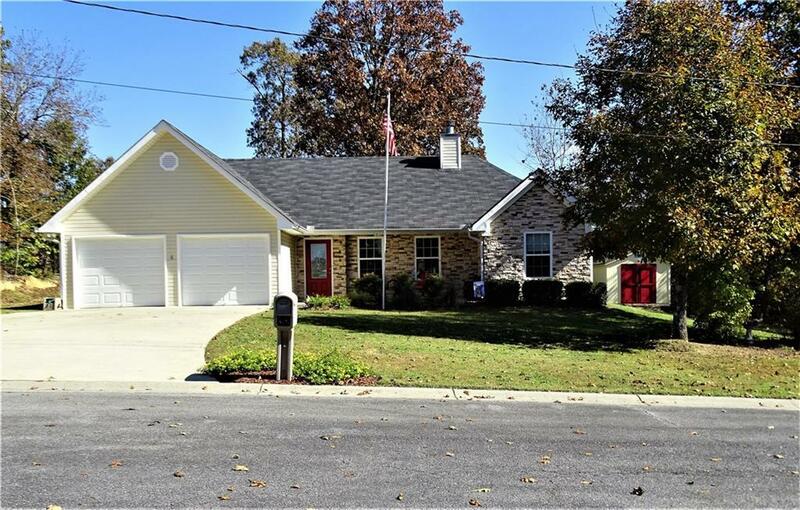 This immaculate well maintained stepless ranch is move-in READY! This home features 3 bedrooms and 2 bathrooms in a split floorplan, with an open inviting family room! This Spacious Front porch is rocking chair ready, has tons of room for a patio set, a perfect place to sit back and relax! The oversized yard has plenty of room for friends and family to gather, the back yard has a privacy fence along the back property line, the property also contains two large storage sheds! This gorgeous ranch is located in a quiet cul-de-sac! Directions: I-75n Take Exit 296. Turn R Onto Cassville White Rd. L Onto Five Forks Rd. L Onto Crowe Springs Rd.